Soon we can finally celebrate summer in all it’s hot glory! 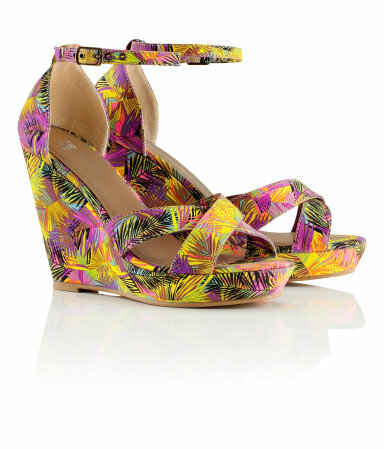 When it comes to summer style, there is nothing I like more than bright colors, cute sandals and striped patterns. Lately I’ve been searching for my newest summer obsession — strappy shoes. More so… shoes that have a strap over your ankle. 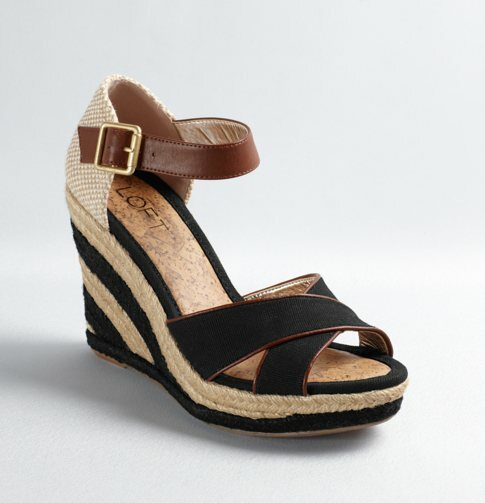 You’ll see them almost everywhere, but here are seven of my favorite strappy shoes for summer. All of which are super affordable! Let’s start with my favorite one, which actually inspired me to write this post in the first place. I love these yellow heels from Ann Taylor! 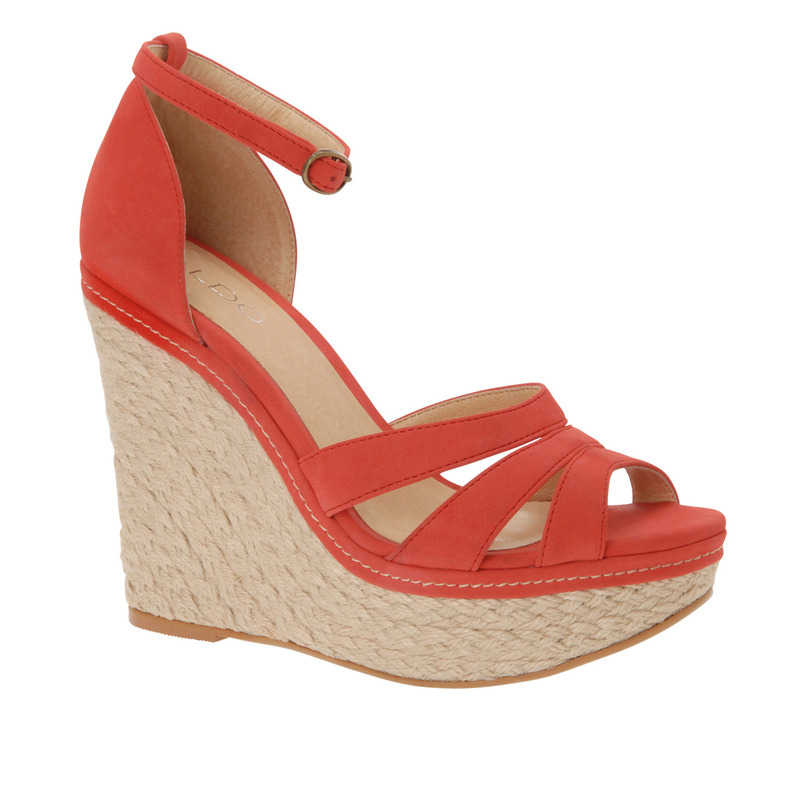 They are so perfect for summer work wear and summer outings. Which “strappy shoe” is your fave? Tell us by writing a comment below! Wedding season is in full swing, and if the weekends on your calendar look anything like mine do, I have to imagine you’re in need of a dress or two. I’ve only attended a couple of weddings my entire life, and I actually have two this month back to back. What are the odds of that happening? Saturday, June 18th was my boyfriend’s older brother’s wedding and the following Friday, June 24th is a friend’s wedding, which unfortunately I wasn’t present but sent my blessings all the way from Ireland. When shopping for that perfect wedding dress, Ann Taylor LOFT was top on my list. No surprise there since I’ve shared my love for LOFT with you before. I’ve found so many fabulous pieces at a great value in their summer collection. They have an awesome summer collection filled with wedding-appropriate dresses. Just take a look at these darling dresses from LOFT, all under $100. Wedding outfit idea: Wear a colorful dress that’s flirty and flattening to your body then match your dress with some classy feminine accessories. You’ll outshine everyone at the wedding (besides the bride, of course)! Below is what I wore to the first summer wedding of the season. Red is the color of love, no? 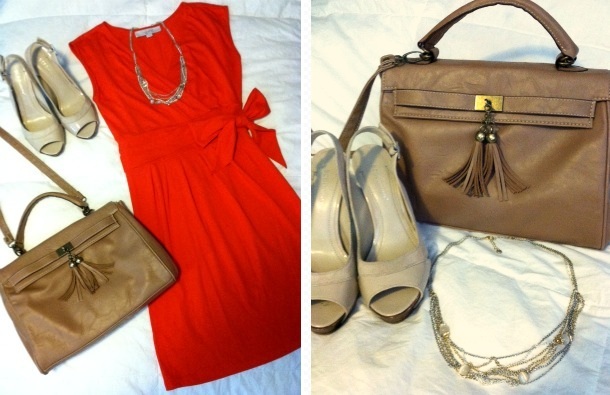 Below are some other darling dresses from LOFT that are perfect for summer weddings! Busy doesn’t even begin to describe Black Friday. Shoppers filled the store as early as 7am. I was on my feet from 8am to 6pm putting clothes away, styling clients in the fitting rooms, and helping wherever needed. Don’t get me wrong though… I expected a busy day, but having a cold made the day more interesting. At the end of the day, our numbers were high and wallets were low. Good day for business. I only wish I had the energy to shop around after work but… my bed was calling my name and I couldn’t resist. 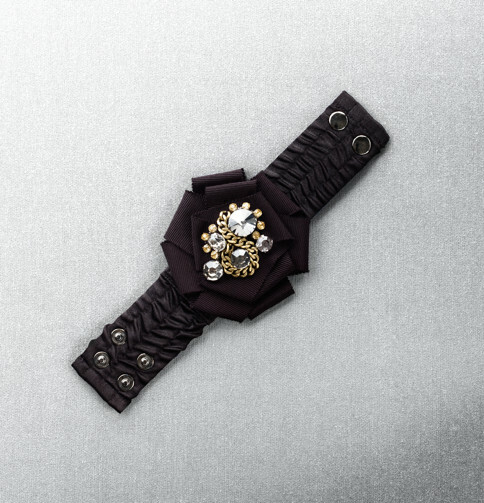 I did, however, purchase a highly detailed and “bold in black” Ann Taylor LOFT bracelet. The moment I laid eyes on this bracelet, I knew it had to be the newest addition to my jewelry box.